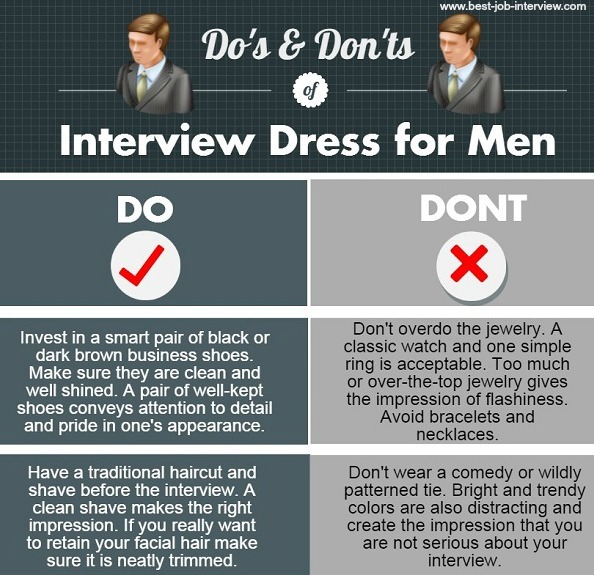 Interview dress advice and ideas for men. Be confident you know the most appropriate interview attire for your next job interview. You only get 30 seconds to make a good first impression so make it count with the right interview attire. The safe standard interview clothing for men is the classic dark business suit. Acceptable alternatives include a gray, charcoal or navy business suit. These suits can be worn with a white dress shirt. White gives the impression of integrity. If you prefer a colored dress shirt rather choose a light color that co-ordinates with the suit and is not overpowering. 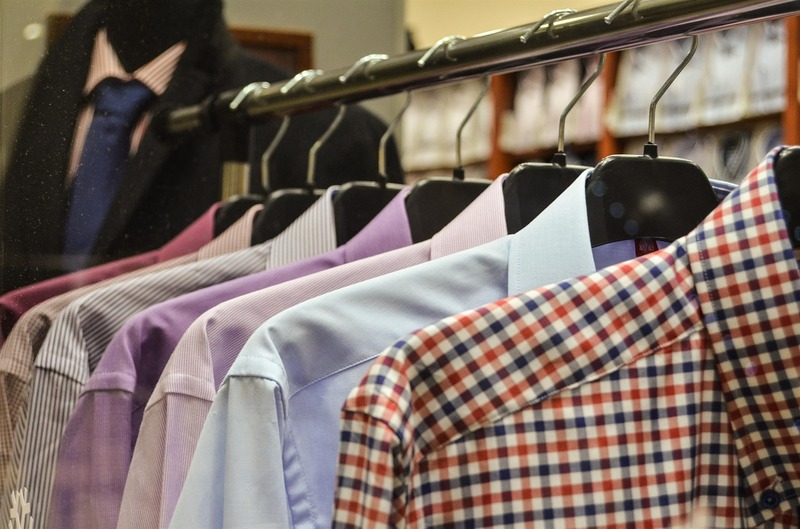 Image consultants suggest that a colored shirt can make you appear more friendly. Can I wear a checked shirt to an interview? If the interview dress code is strictly formal it is advisable to stick to classic colors for your button-down or dress shirt. A subdued check or pattern is acceptable for less formal interviews. Striped shirts are also an option. But make sure it is not too bright and flashy as this will distract the interviewer. Unless the interview dress code is definitely casual, you should wear a tie. Your tie should coordinate with the colors you are wearing and be relatively conservative. The primary color of a patterned tie should complement your suit and the secondary color should pick up the color of your shirt. Here are some basic guidelines when choosing your tie. Wear a tie that is darker than the color of your shirt and avoid a tie that is too bright. The knot of your tie should be in proportion to the collar of the shirt. The front point of your tie should just touch your belt line. If you are sure that the job interview dress code is more informal then you can wear a sports coat or blazer and a pair of well-tailored and pressed slacks. 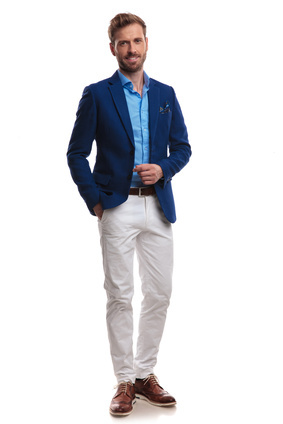 Match the outfit with a either a white or colored long-sleeve shirt with a collar. You can wear a tie depending on how formal you want to look. Always wear well-polished smart shoes. 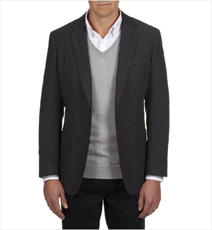 Find out more about interview clothes for a casual environment. If the job interview dress code is low-level business casual, job candidates can wear khakis or chinos with a golf shirt or long-sleeved shirt. 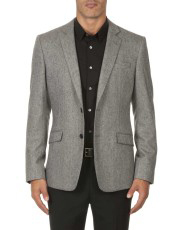 It is advisable to take a jacket or blazer with you to the interview so you can smarten up your outfit if necessary. Jeans are not acceptable interview wear. Even if current employees wear jeans to work remember that the rule of thumb is that for a job interview you should dress a level above the typical daily dress for that work environment. Your interview attire will have a major impact on how you are perceived by the interviewer. What you wear will be a reflection of your professionalism, commitment and your ability to fit in with the corporate culture. 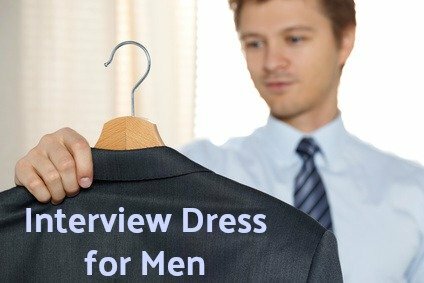 What color should men wear to interviews? 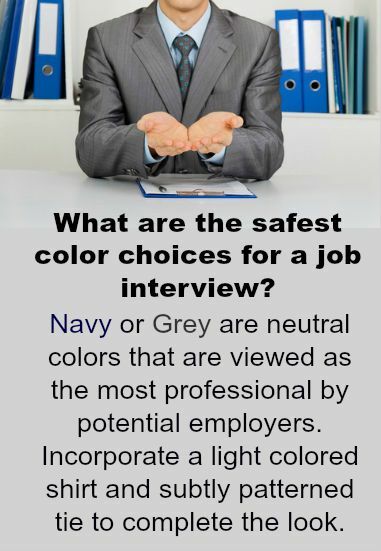 The most neutral and appropriate colors for interview clothes are navy, gray or charcoal. It does not have to cost a fortune to wear the right interview attire. Find out how to get hold of appropriate interview clothes on a budget. Different jobs demand different interview dress codes.